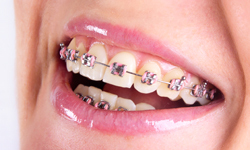 Self-ligating braces do not require the use of elastics (colors), meaning less friction is placed on the tooth. This can be particularly important when there is a lot of correction needed. 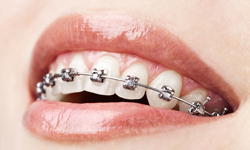 Self-ligating braces can be metal or clear, and they are the same size as traditional braces, but use a specialized clip in place of elastics to help the archwire guide teeth into place. 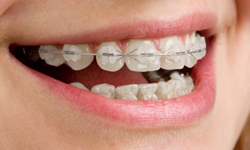 The clip helps reduce the amount of pressure being placed on the tooth, and could require fewer adjustments because there are no elastics to replace.